I could start this article as I start most, talking about a new release and its inspiration, but you’re going to let me tell you a story. This is not just a story of a new deck. It is a story of struggle, courage and overcome and I feel fortunate to be able to share it with you. Over a year ago, Justin Hussain (Ace Collectable Cards), a young man full of talent, sent me his first sketches for a new deck, The Four Seasons, asking for advice about the best way to achieve it. After a few months of work in which I was able to help him not only in promotion but also in the details of the campaign and production, the deck became real and it is almost sold out. By the way, Justin wanted to thank my help converting myself into one of his jokers. 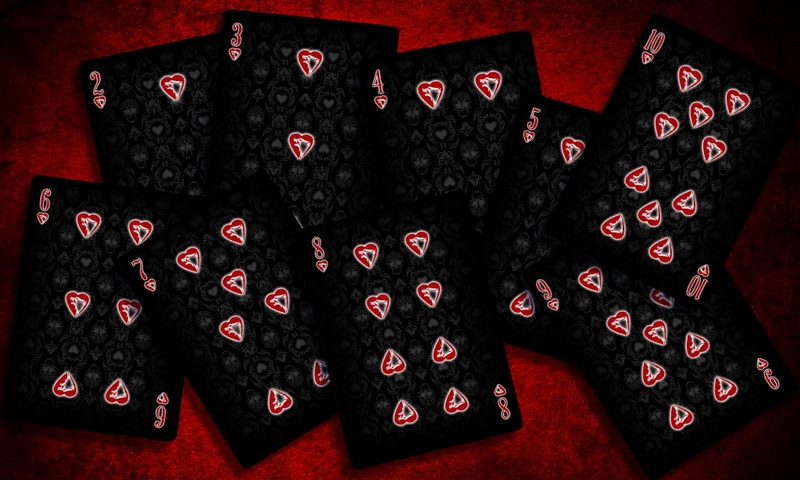 There are very few satisfactions for a playing card lover comparable to become a playing card. A few months ago, Justin contacted me again to tell me about his new project that I anticipated you as soon as I heard about it. 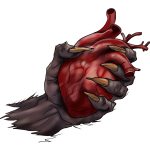 The project is now a reality: HorROAR! 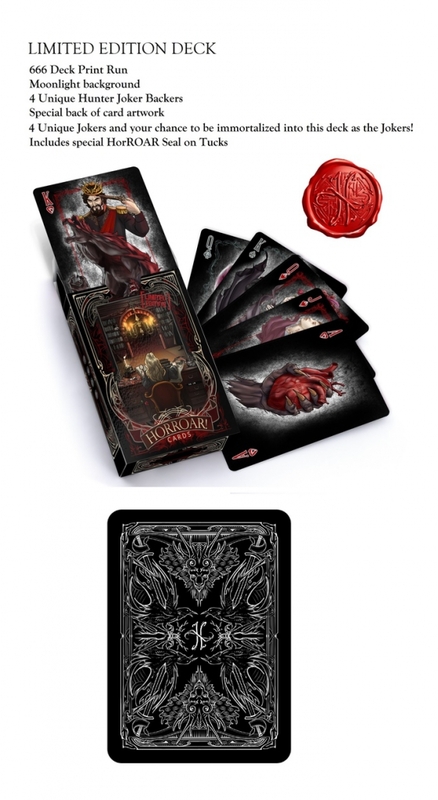 The deck is the interpretation of classic horror through a set of characters that are grouped in different suits (vampires, ghosts, witches and werewolves). 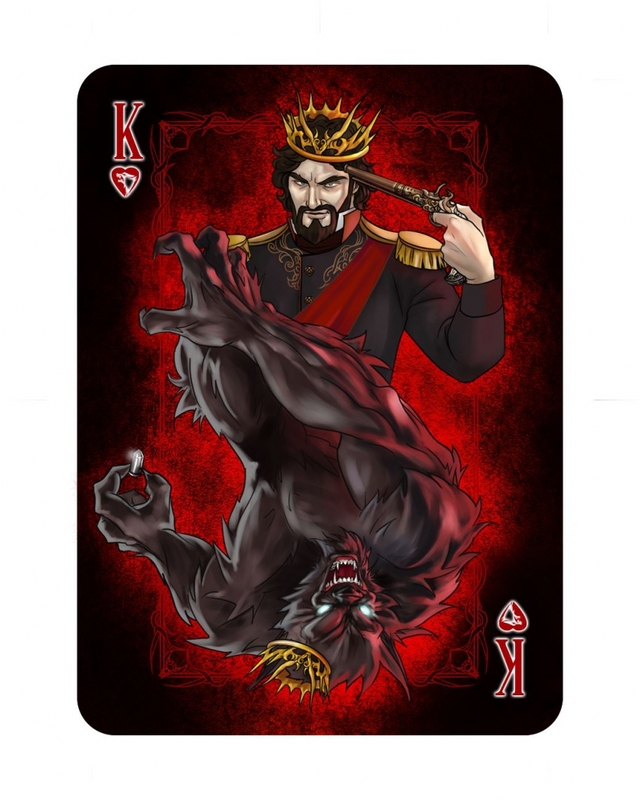 Each of these characters, depicted in the court cards, show their both sides before and after entering our worst nightmares. 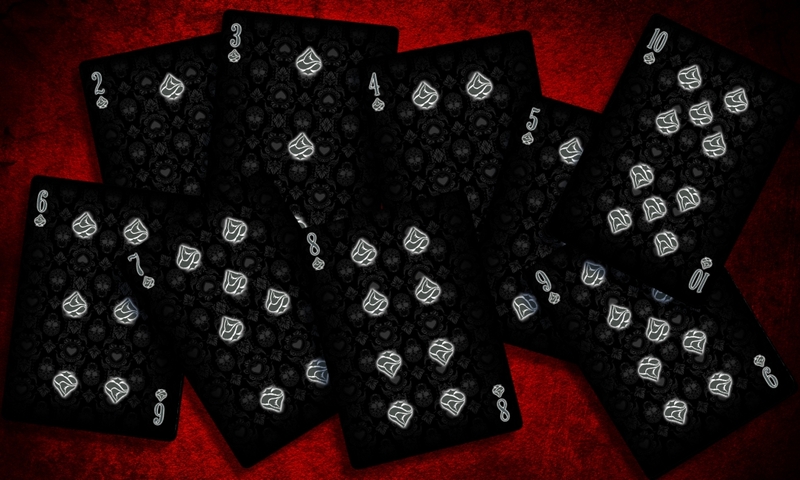 Numbered cards keep the atmosphere through custom pips and a subtle and disturbing background while the aces represent the essence of each group with elements reminiscent in shape to the classic suits to keep the playability. There will be two editions of the deck, printed by NPCC. 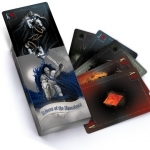 The standard edition will have, if unlocked, nice extras in the tuck case such as embossing or foil. 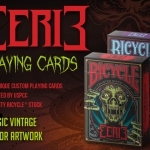 The limited edition, with a print run of only 666 decks, is not available as add-on but only within some specific levels. This deck will have four jokers (instead of two), a different in the tuck case, the back and the card background. 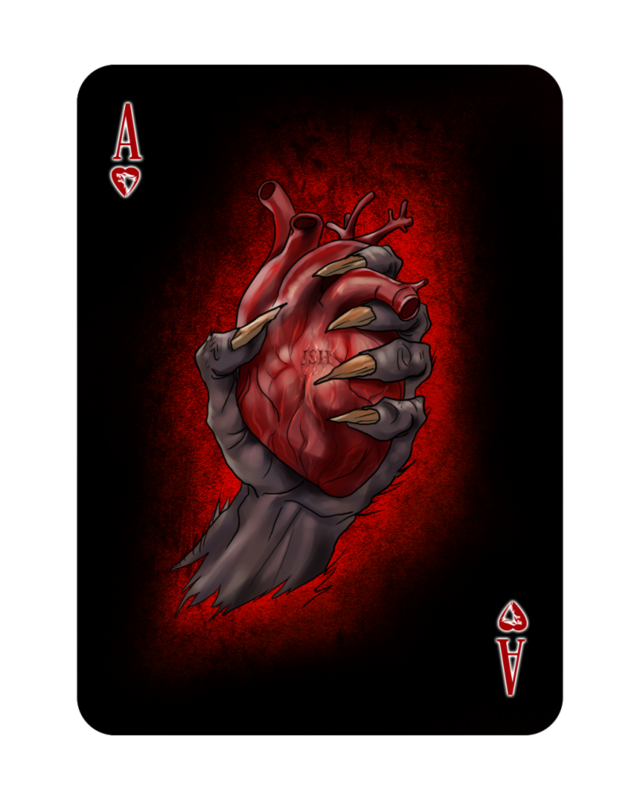 Justin has created an amazing campaign that not only offers free shipping worldwide, but also includes limited decks for free in some tiers and even invites his backers to be protagonists of the deck itself becoming, as he did in the previous campaign, any of the jokers. And now, the remaining story… Since I knew about this new project, I have been in touch with Justin and helped again with the campaign and production details, but I have also been able to know him better. I could say he is a passionate artist, with an amazing imagination and a very interesting creative style, but above all, Justin is a wonderful person with a terrible disease that causes him indescribable pain that must overcome every day to go to work because, unfortunately, the disease has struck in his family and all them dependent economically on him. The last time I spoke with him, just a few hours ago, he told me about his impending third surgery and his need of selling his laptop, his working tool, to deal with some unexpected expenses. While I believe that for you, as for me, this is disheartening, I don’t appeal to your compassion, just think sometimes it’s good to make contact with realities we do not know and are much closer to us than we think. Getting this campaign funded will not solve his problems (he would need a hundred campaigns like this) but will give him one more reason to keep fighting. If you want to be part of this project, get fantastic decks and even become a horror character in real card, please visit the project website and raise your pledge. 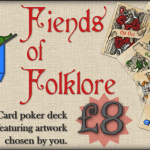 Also, you can visit the Ace Collectable Cards website and even purchase, if you do not have it, their first work before the last decks of the Four Seasons limited editions sold out.